Off I-4 between World Center Drive and International Drive South, one mile from Walt Disney World. Also known as Nick Hotel, Nickelodeon Suites Resort is a family-friendly hotel conveniently located near Universal Orlando and Walt Disney World. Filled with costumed characters from popular Nickelodeon shows, the hotel boasts 770 spacious KidSuites with colorful character decorations on the walls. Kids can explore the halls with Dora, eat dinner with the Teenage Mutant Ninja Turtles, or soak up some sun by the pool with SpongeBob Squarepants. The hotel's two separate pools each have their own waterpark. Both the Lagoon and Oasis Pools have water towers,13 slides and flumes, heated pools, and poolside games such as Nick Live. There is also a Kid's Spa that provides mani/pedis, hair braiding and wraps, and air brush tattoos. 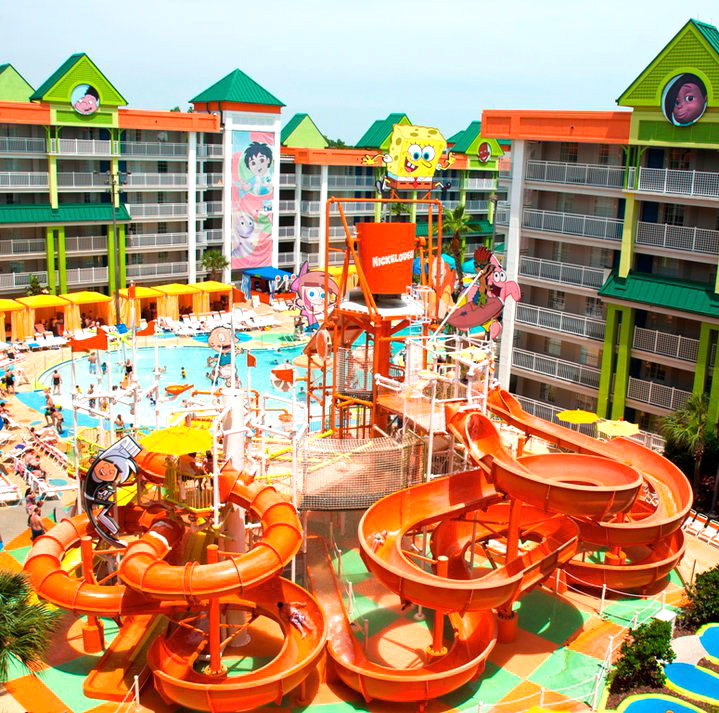 The resort is home to a mall, an arcade and a 4-D Theater which showcases movie such as SpongeBob SquarePants 4-D: The Great Jelly Rescue and Dora and Diego's 4-D Adventure. Families can also take part in wild game shows at Studio Nick. On select nights, the Nick After Dark program allows interactive and engaging supervision for kids that allows parents to go enjoy a night out in Orlando. 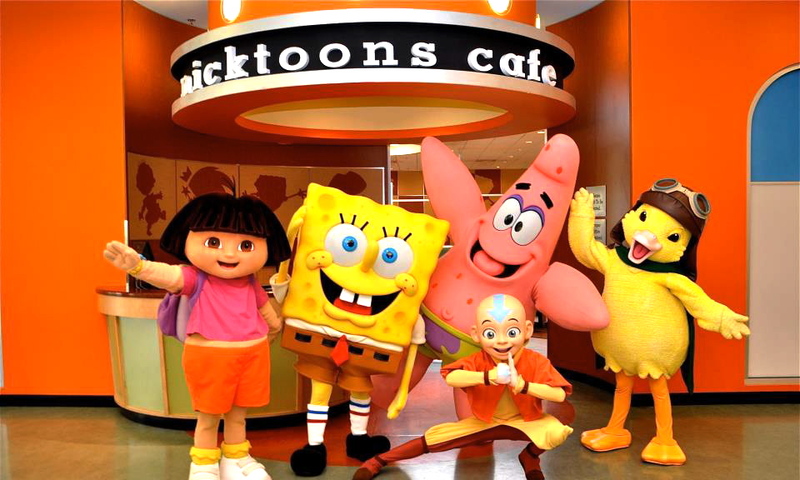 The Nicktoons Café offers buffet and casual-style dining. Families can enjoy daily Character Breakfast with Nickelodeon friends or enjoy a meal poolside at the Lagoon Grill & Bar. While the kids play, parents and adults can relax in cabanas or grab a cocktail in The Lounge. The resort offers Florida and Georgia resident, AARP, AAA, nurse, government and military discounts. They also provide customizable birthday packages for both guests and non-guests including Spongebob or Ninja Turtles-themed parties, an Ultimate SLIME Experience, or a Double Dare Live! Obstacle Course Challenge, among others. With so many amenities, activities and shows, Nickelodeon Suites Resort is truly the wildest and slimiest kid-centered resort in Central Florida. Free and ample parking available for guests. Nickelodeon Suites Resort is located one mile from Walt Disney World on the corner of World Center Drive and Continental Gateway.